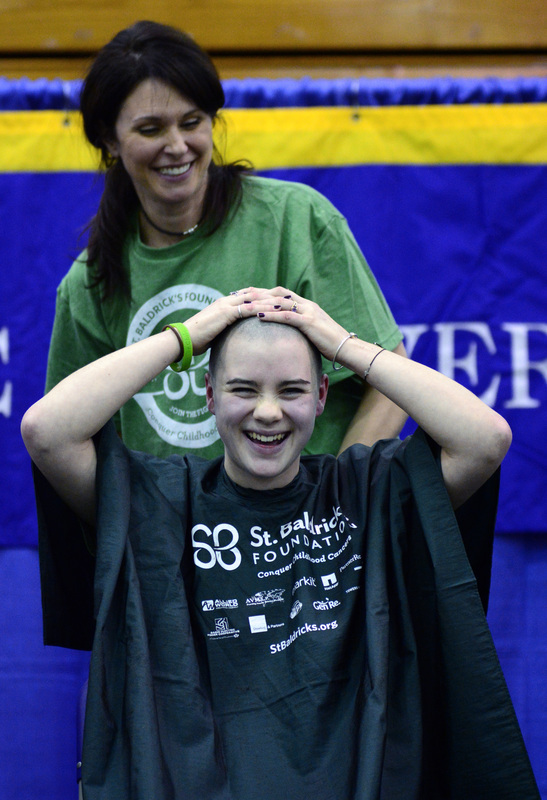 Quinnipiac sophomore Catie Abu reacts after getting her head shaved at St. Baldrick's in February 2014. 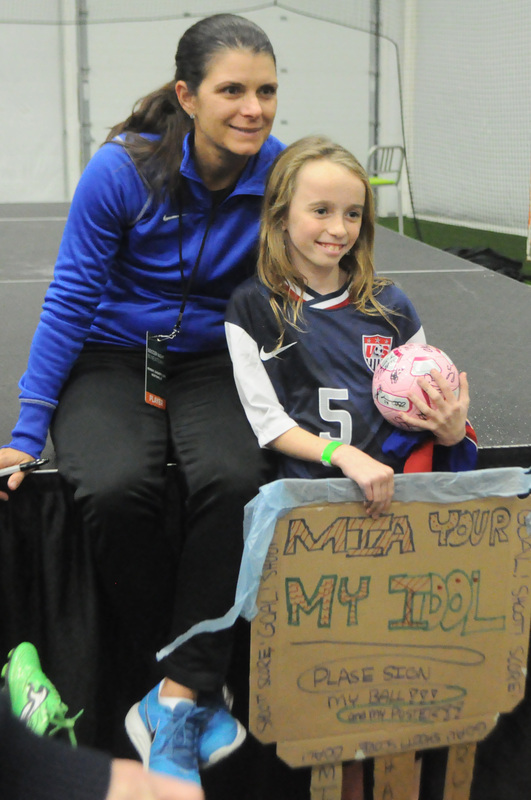 Mia Hamm poses for a picture with a girl at Soccer Night in Newtown in January 2013. 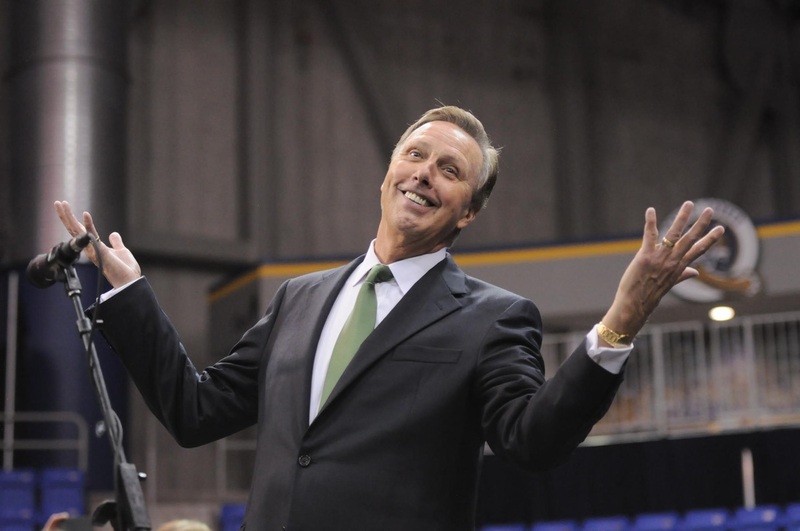 Quinnipiac President John Lahey shrugs his shoulders after an announcement during a concert intermission at TD Bank Sports Center in October 2012. 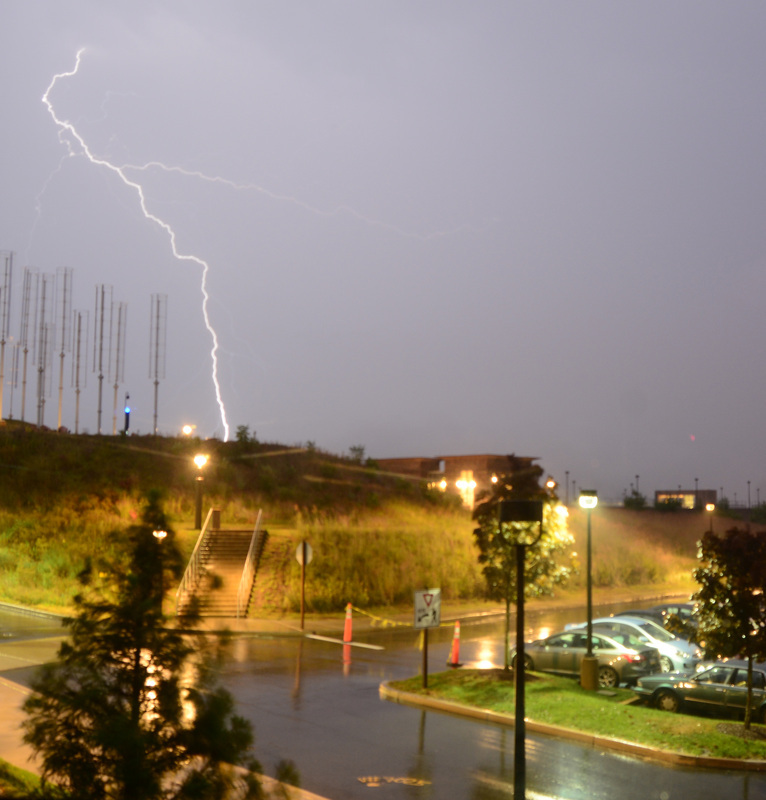 Lightning strikes Quinnipiac's York Hill campus in September 2013. 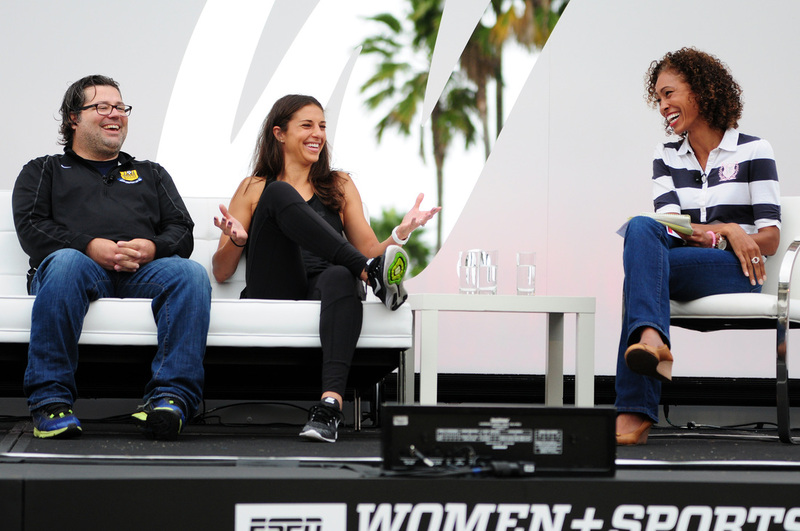 Carli Lloyd (middle), her trainer, James Galanis, and ESPN's Sage Steele talk during a panel at the espnW: Women + Sports Summit in October 2015. Students cheer and record lasting images after QThon's management team announces it raised $55,018.35 toward the Connecticut Children's Medical Center in February 2015. 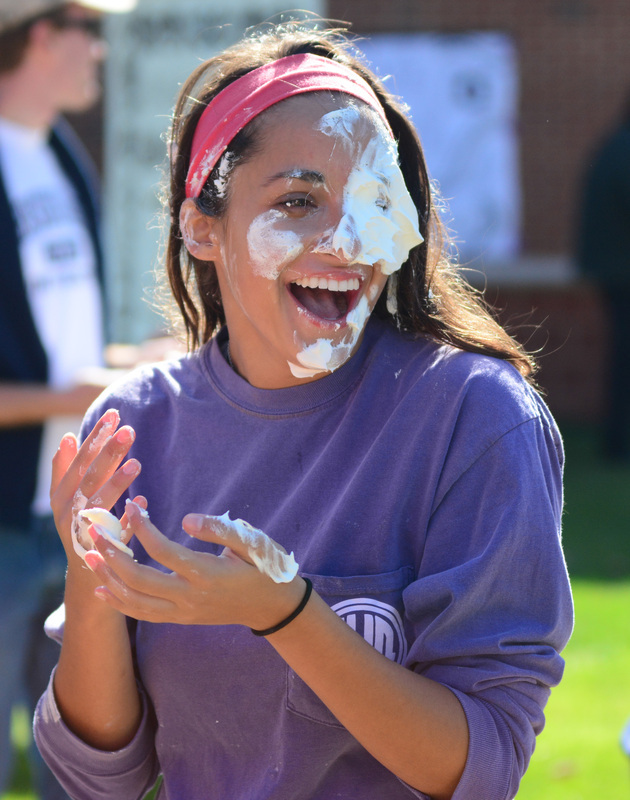 A member of Alpha Chi Omega reacts to getting pied in the face at Frisbee Fest in October 2013. 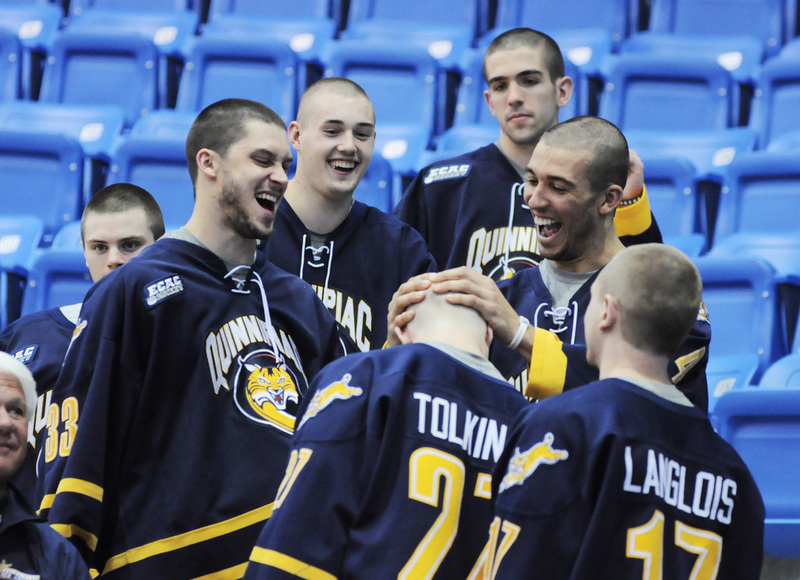 Quinnipiac men's ice hockey players Eric Hartzell and Loren Barron react to seeing Zach Tolkinen's head after St. Baldrick's in October 2012. 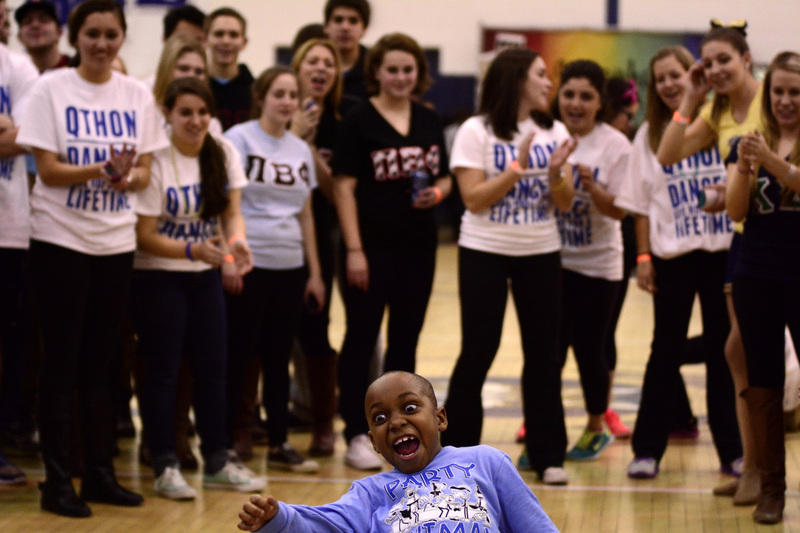 Shemar Williams and Quinnipiac students limbo at QThon in March 2014. 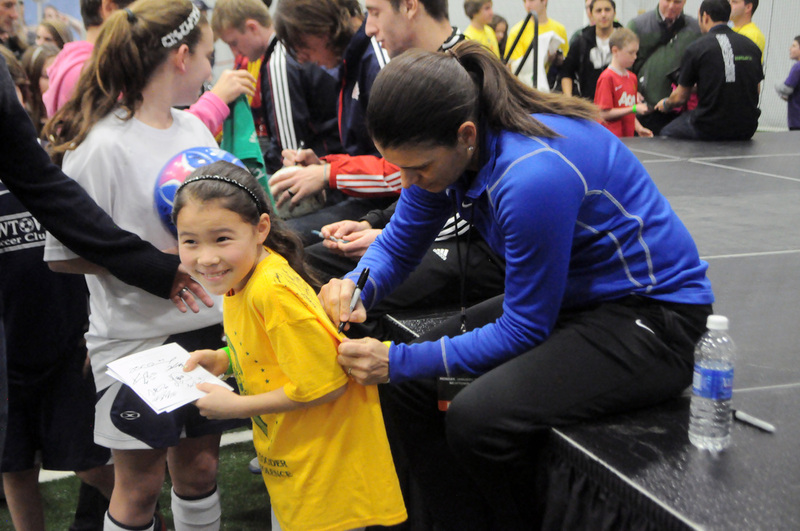 Mia Hamm signs a girl's shirt at Soccer Night in Newtown in January 2013. Four Quinnipiac students get hypnotized by Sailesh in January 2012. 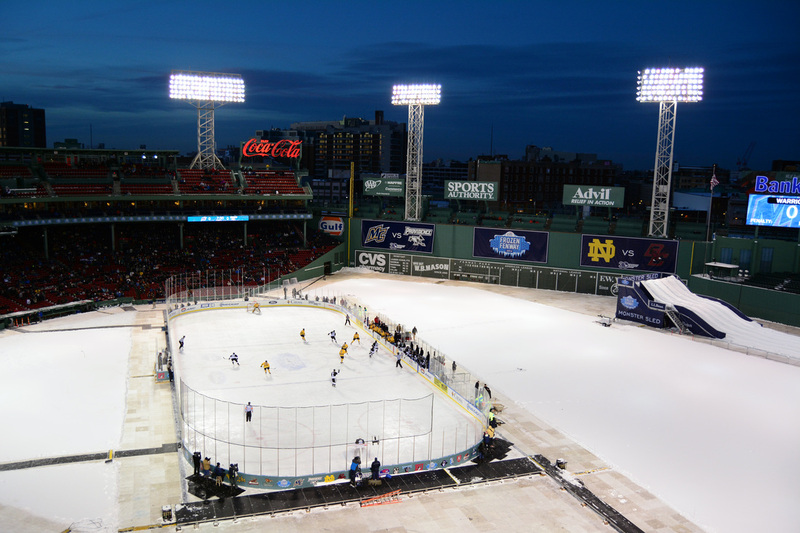 Merrimack College and Providence College play an ice hockey game at Fenway Park in January 2014. 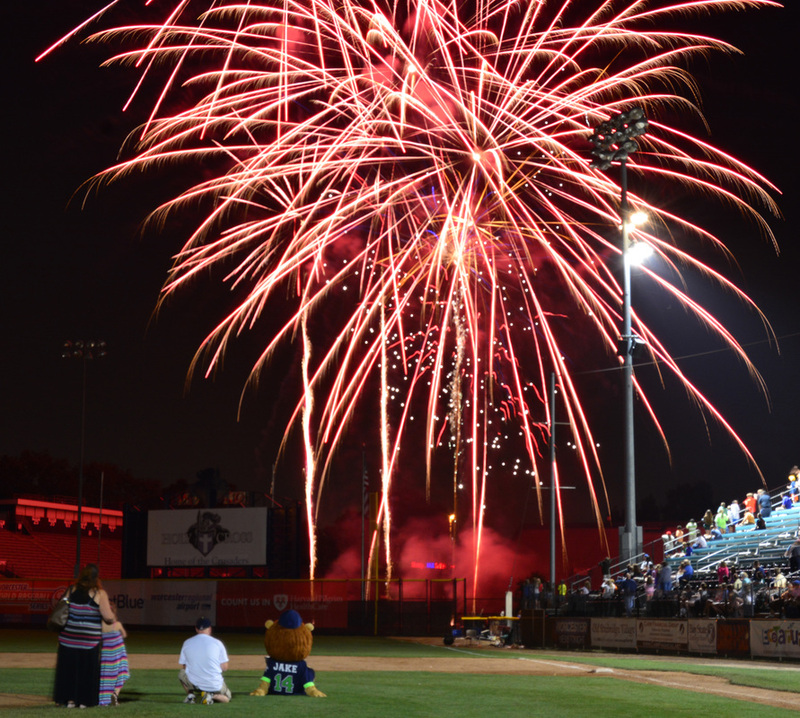 Fireworks explode after a Worcester Bravehearts baseball game at Hanover Insurance Park at Fitton Field in July 2014. 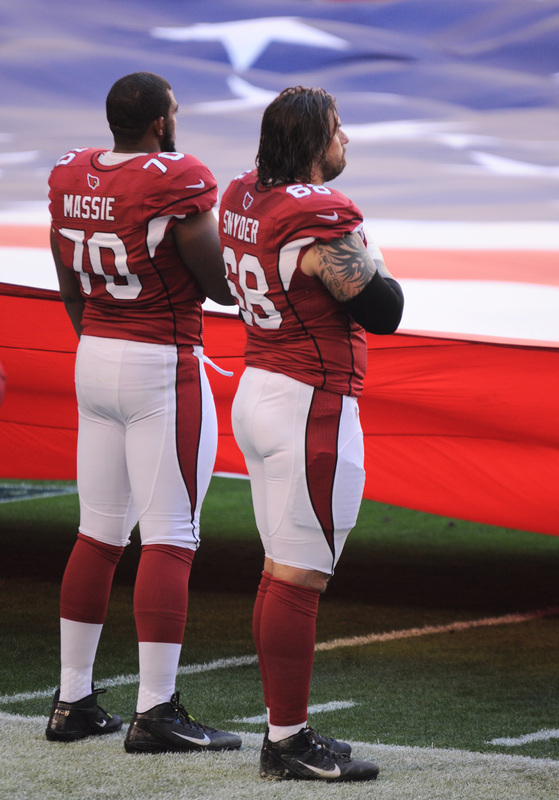 Arizona Cardinals' offensive linemen Bobby Massie and Adam Snyder stand during the national anthem in their Dec. 16, 2012, game vs. the Detroit Lions. 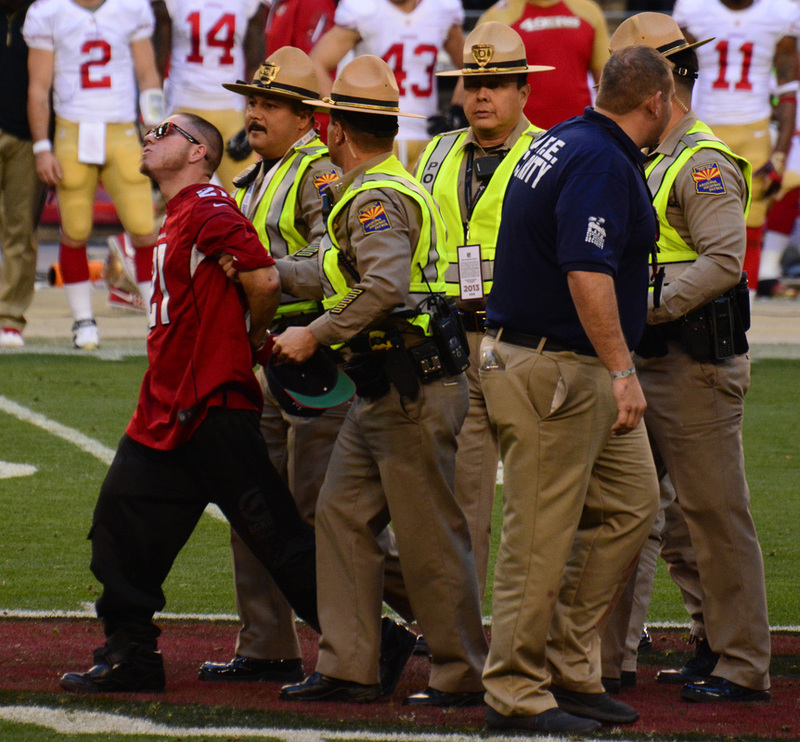 A fan is escorted off the field by police after running onto the field during an Arizona Cardinals/San Francisco 49ers game in December 2013. 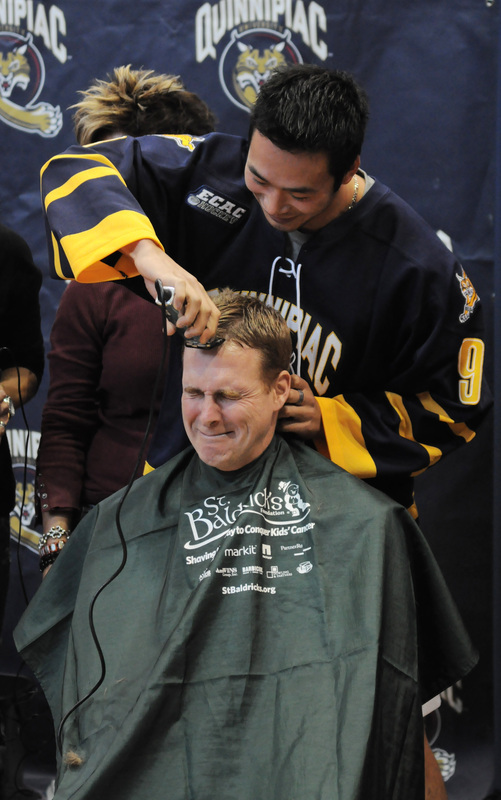 Quinnipiac men's ice hockey forward Kevin Bui shaves head coach Rand Pecknold's head for St. Baldrick's after a hockey game in October 2012. 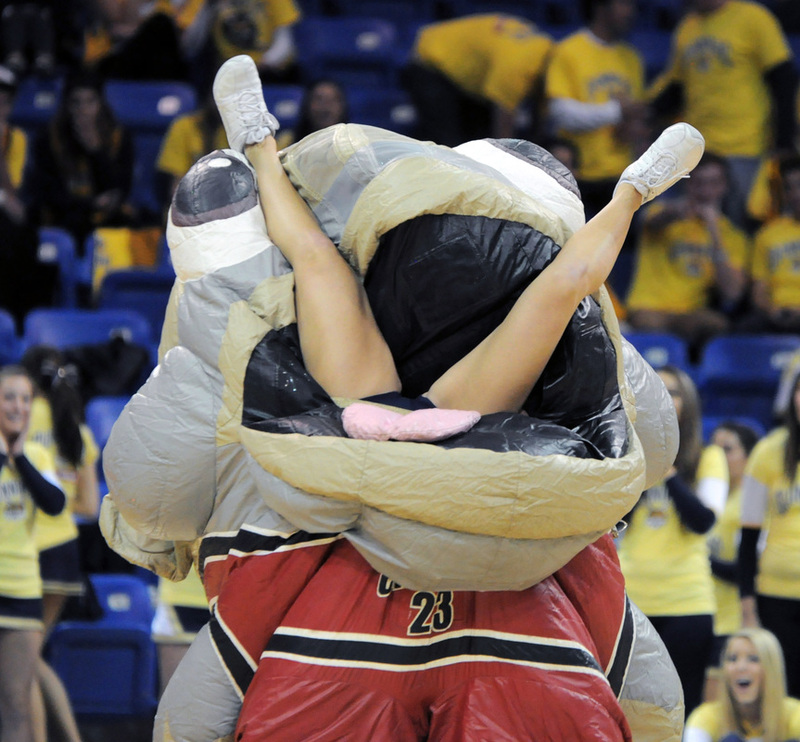 Zooperstar Mackerel Jordan eats a cheerleader during Quinnipiac's Bobcats Madness in October 2012.